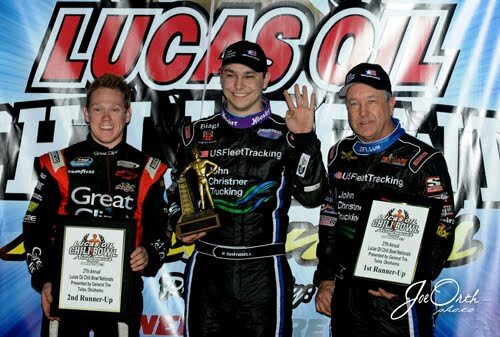 Kyle Larson (center) score the opening night win in Tuesday's qualifier. 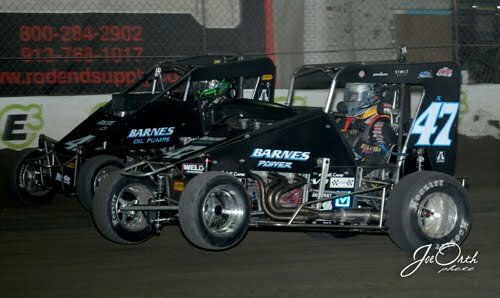 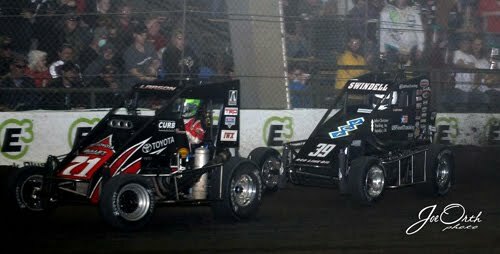 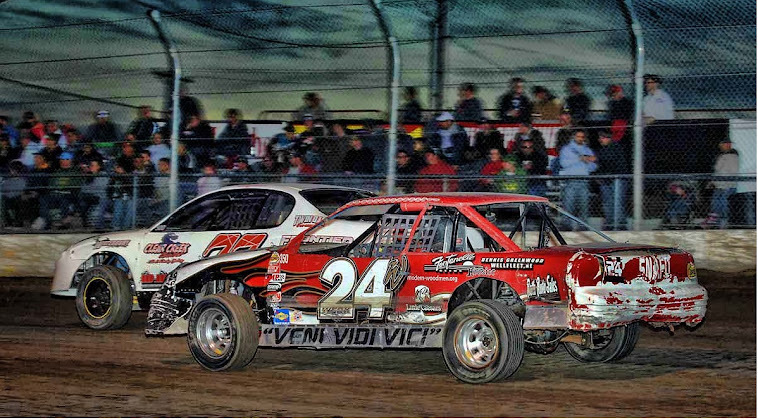 He's joined by runner-up Bardy Bacon (left) and third place finisher Tony Stewart (left). 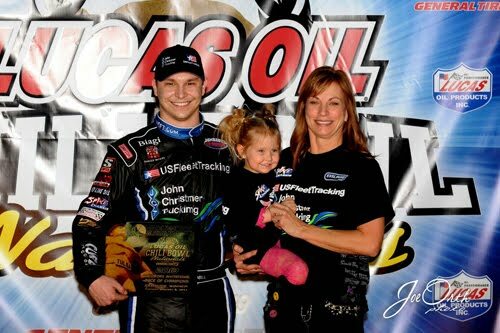 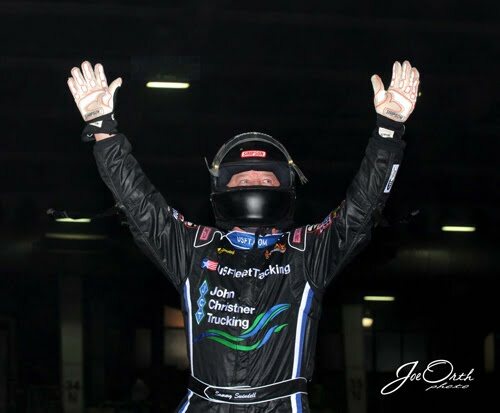 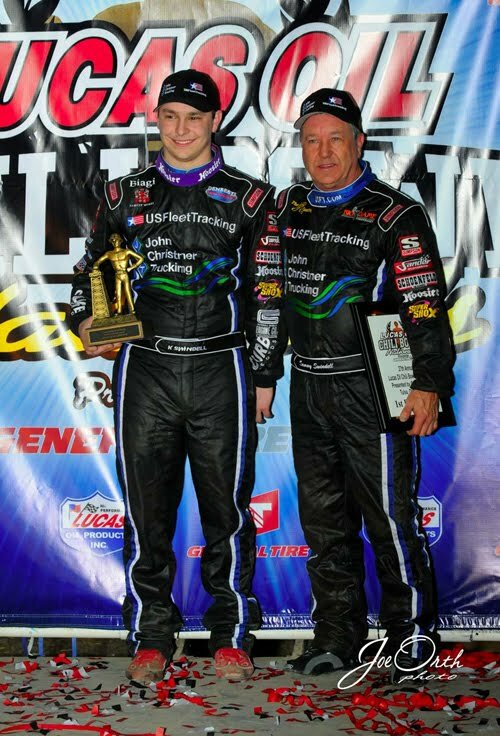 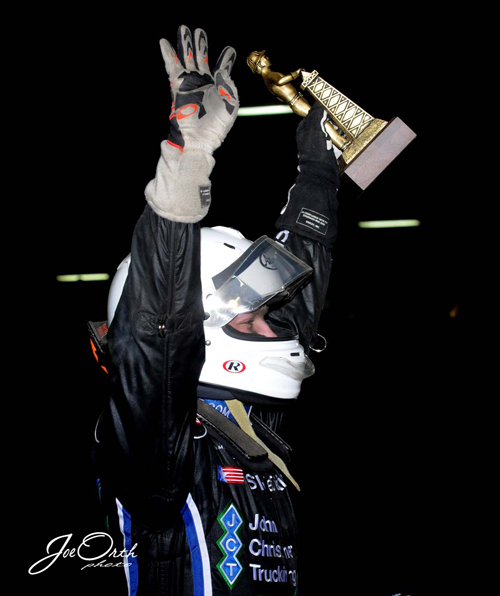 Kevin Swindell is joined by his family after winning the Race of Champions on Tuesday night.